Hello! Welcome to my Blog about anything under the sun. I am still struggling as to grammar so please bear with me. Photos use in this blog are owned by me unless otherwise stated. Thank you for dropping by! Actress-TV Host and Phillipines Ambassador of United Nation's World Food Program (WFP) KC Concepcion has just got back from her 5-day Mission in Uganda. She said that what she experienced in Uganda really taught her so many things and that also changed her perspective about life. "Parang, you see na there are things na you don't see off-hand when you are there, and you go back to your world, hindi ba? Plus, you're in entertainment so everything is presented beautifully, striving for perfection, the glitz and the glamour, the luxury bags, the light, the audience and then you remember this quiet arid place under the hot sun with people you've never seen or met before." "And you will remember their stories: 'Oh, you know, my sister was killed getting these fruits four months ago so we don't have anything to eat right now so we are eating the fruit peel of the fruit she died getting for us.'.. I mean, if you hear stories like that, kapag nagiging totoo siya, iba na ang pakiramdam talaga kasi no matter where you are or what happens kung sino ang kausap mo or anuman ang sabihin sa iyo, you will always know na there's a corner in the world that exists na ganoon and it's either in our daily lives. We forget that these things exist or we just never knew they did," KC said in a press conference on Wednesday, January 26, 2011. Uganda is one of the most depressed countries in Africa which has been caused by two decades of peace and order conflict and by climate change problems. I consider her as a lucky person for having given a chance to reach out other people even in a very risky way. If given a chance, I would also do the same because like her, I love to do social work too. Below are pics that I've found via Google Images. To Ms. KC Concepcion: I salute you for being a brave and a kind-hearted fellow. More power! My initial reaction was, "Oh my goodness! Papa P. is finally taken!" The revelation happened in an exclusive interview by Ms. Charlene Gonzales on "The Buzz", January 30, 2011. The ultimate hunk revealed that he and KC have been together since October 21, last year. I would like to share the transcript of the interview courtesy of Starmometer. Piolo: “It’s very liberating, siguro what I’ve to deal with is a…sorry I just have to expound on this. The reason why I never admitted naman or not elaborate it because may pinoprotektahan ako. You know how it is, I have a son na hindi mo makasama. Ayaw mong mapariwara ‘yung bata, ayaw mong magkaron ng ibang reaction kasi bata ‘yun, he’s only 13 years old. But I think I decided at this point na kung ano man ang magiging reaction ng anak ko from here, we just have to deal with it. Here's more, Papa P. calls KC "Princess", ayayay! My wishes to both of them! HALFy go lucky! Your chance to grab 50% off on all international destinations! It's your lucky day! Your chance to grab 50% off the lowest fares to any of our 16 international destinations for travel starting April 1 to May 31, 2011. 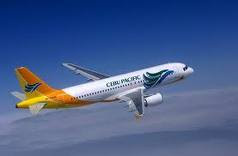 The Philippines’ largest national flag carrier, Cebu Pacific (CEB) will maintain zero fuel surcharges and putting up 120,000 seats for this 50% off seat sale from now until January 31, 2011 or until seats last. This destinations are Kota Kinabalu, Taipei, Singapore, Guangzhou, Shanghai, Beijing, Macau, Hong Kong, Ho Chi Minh, Brunei, Bangkok, Kuala Lumpur, Seoul, Jakarta, Busan and Osaka. CEB remains the only Philippine carrier to offer fares without fuel surcharges. Visit our website at www.cebupacificair.com now! Grab great deals on Cebu Pacific Fun Tours where you can combine your lowest roundtrip airfare with the cheapest hotel accommodation in your desired destination. We are now staying at the Best Western Timber Cove comfortably while waiting for the car to be fixed. Best Western is located near the shore of Lake Tahoe. Since we don't have a car, my teeners and I just contented taking a walk while enjoying the amazing view of the pine trees, lake shore and the lake itself. Lake Tahoe is such an amazing place! I hope you enjoy viewing at the photos. We were about to leave Hansen Resort a day earlier when hubby found out that the engine is leaking and gas is all over the ground when he started the car to warm it up while we were still inside the cabin preparing to leave. Sigh. A cop who happened to be in the vicinity pulling-over a driver called a towing service for hubby to tow the car going to an auto shop. The name of the towing company is Welcome's Towing. We were charged $100.00 for the towing. The owner of the resort recommended Christensen Automative so the car was sent there. The mechanic estimated a $200.00 charges and said it would take 3.5 hours to fix it. We roamed around town while waiting. We walked from the resort going to the Red Hut for breakfast which was recommended by Mr. Guillian, the resort owner. This has been my teener's second time in Lake Tahoe and it's been my third time but we wanted to see more of this beautiful place so we grabbed the chance. Lake Tahoe is one of the beautiful places in the world. After two hours, the mechanic called for a bad news which caused us a BIG SHOCK. He said that the car can't be fixed until Friday because he has to order the defective parts and that it would cost us more or less $800.00. Holy cow! No kidding! I felt like we were being robbed that very moment. Sigh! As I am writing this post, hubby, my teeners and I are enjoying our stay at Best Western Timber Cove, still in South Lake Tahoe, California.